Visiting the Barossa on the June Long Weekend? Love Gin? Want to celebrate World Gin Day? Don't miss out on The Barossa Gin Dig! 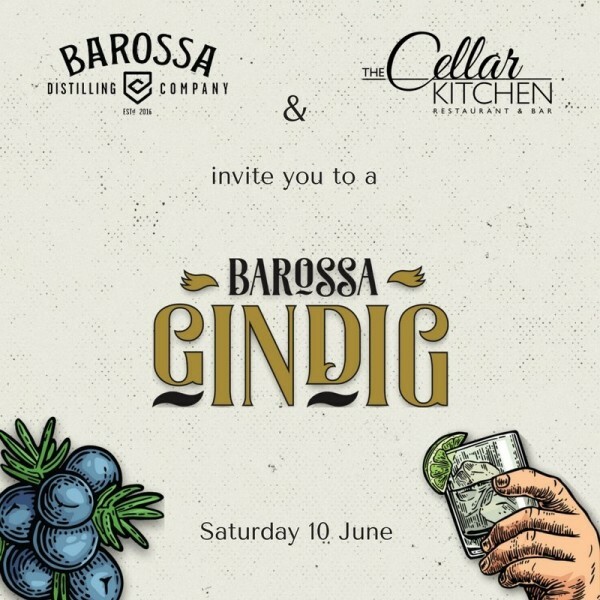 Barossa Distilling Company have collaborated with The Cellar Kitchen Restaurant to bring you an innovative, gin-infused four course lunch to celebrate the long weekend on Saturday 10 June. Enjoy everything gin in an engaging afternoon of cocktails, gin-talk and gin vs wine comparisons. This lively event will be held in The Cellar Kitchen Restaurant at the Novotel Barossa Valley Resort from 12:00 pm - 3:00 pm.